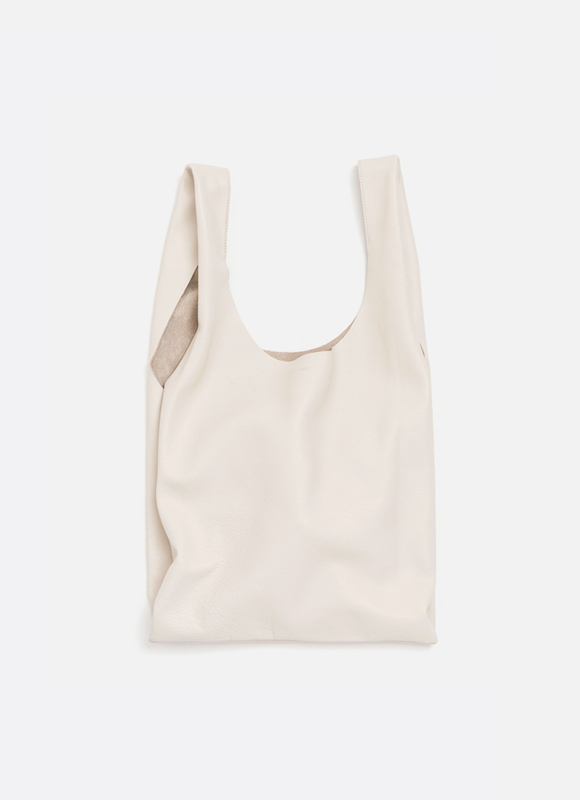 A simple shape made of the softest natural milled leather. 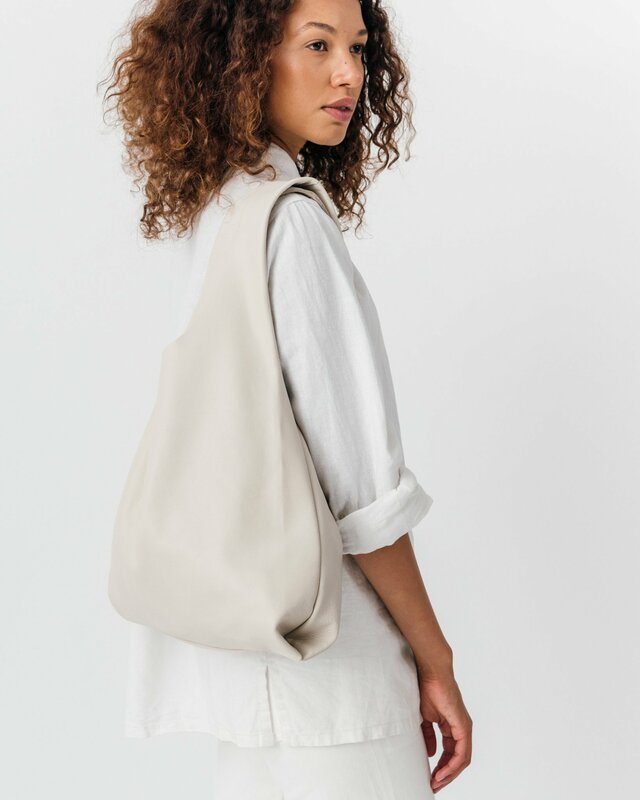 Comfortably fits over the shoulder. H 61 cm/24 in x W 25,5 cm/10 in x D 10 cm/3,9 in. 25,5 cm/10 in handle drop. 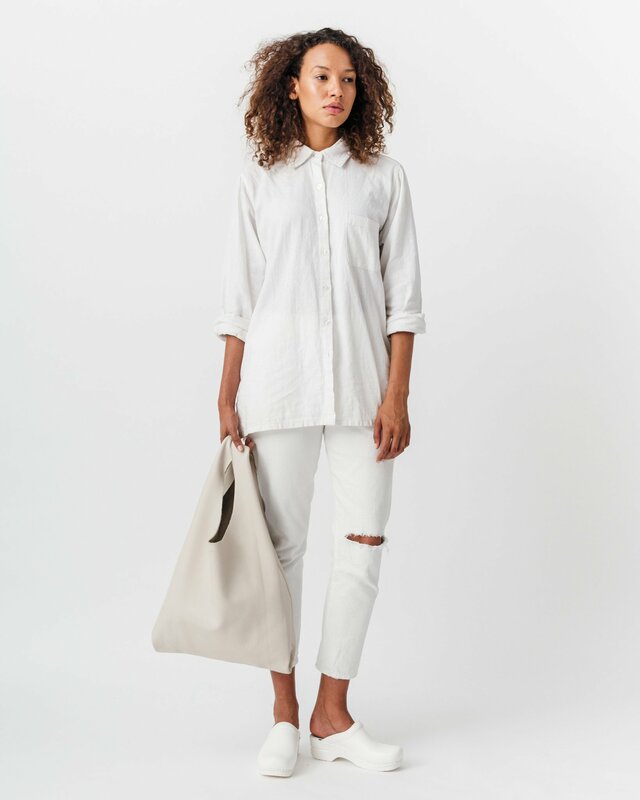 Leather Baggu Bag – Stone is a simple shape made of the softest natural milled leather.